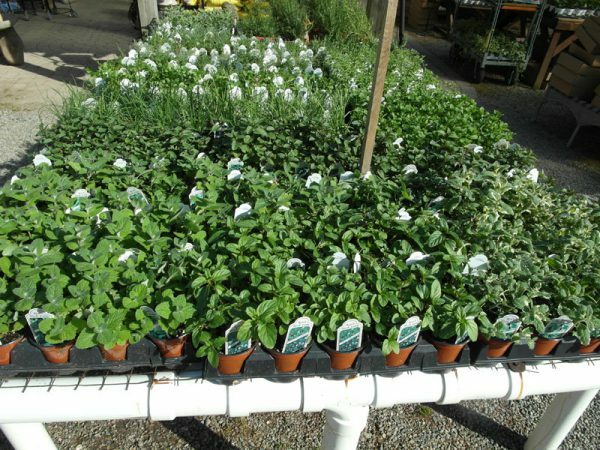 We have a huge selection of herbs starting in early April with some of the cold hardy varieties. 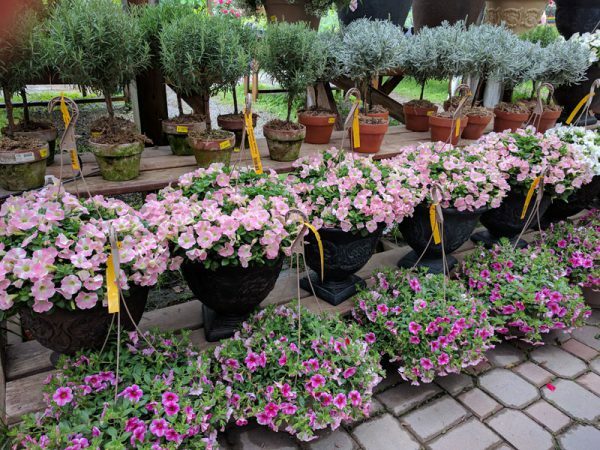 We receive the majority of our selection in May. Here is a list of what we normally carry during each season. 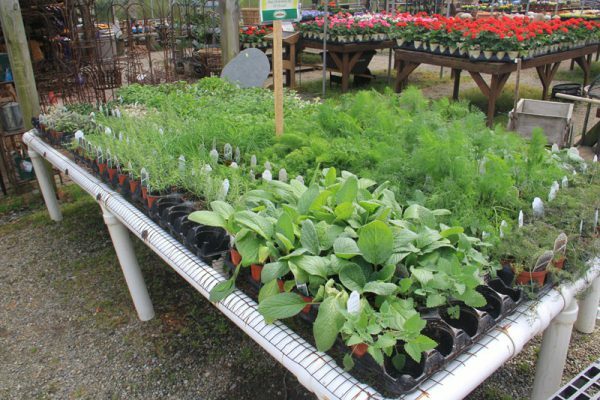 Some herbs are in flats, while most are in 4″ pots and larger.